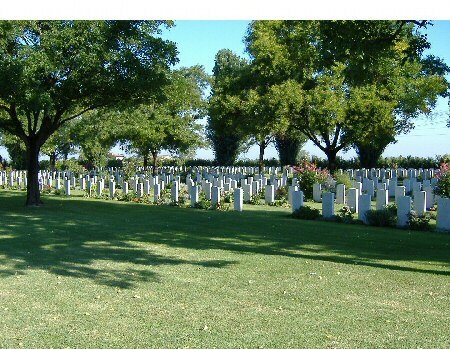 The nearest train station to the cemetery is Mezzano but there is no taxi service available from there. There is however, a taxi service from Ravenna train station. Cemetery address: Via Piangipane 24B - 48100 Piangipane (RA) Emilia Romagna. GPS Co-ordinates: Latitude: 44.441525, Longitude: 12.107673.